Planet of the Apes is a science-fiction film from 1968 that follows the journey of a group of astronauts who venture off to a distant planet, only to find themselves meeting a society of sentient apes. This film is often regarded as one of the greatest films of all time, and I have to say that it really is a masterclass in science-fiction. The film uses its peculiar premise to delve into social issues that have plagued the human race for ages and questions our relationships with life around us. To begin, I thought that the acting as a whole was good; nothing especially riveting or groundbreaking, but serviceable. The star, Charlton Heston, was very good in portraying himself to be this arrogant maverick that wants to “look to the stars” and take charge, but I thought that outside of that there wasn’t much else to go off of. It seemed as though his role as the leading man was more forced rather than organic. Plus we don’t get a good enough look at his relationship with his crewmates, which could have taken some time away from shots of the crew walking across a desert. The rest of the cast was fair in their portrayals as well, as the ape characters ranging from Cornelius to Dr. Zaius all conveyed their fear and skepticism regarding a new sentient being threatening them. I notice with a lot of films from the 60’s to the 70’s share this style of acting that comes off as a bit awkward and irregular; something just seems off and a bit unnatural, but maybe it was just the style that I’m not particularly aware of. However, the acting doesn’t really detract from my enjoyment of the film, and was really only a small annoyance. The true strength of the film lies with the story that it tells, as it does a wonderful job at exploring questions regarding humanity and how we treat our own species others around us. The relationship between the apes and humans on the surface is a role reversal of how humans capture and hunt animals for sport and fun. We as humans are the “top of the food chain” so we seem to be justified in “humiliating” animals we deem meek and unsophisticated. On a deeper level it can be seen as a parallel to slavery and racism, as one could see the humans as slaves and the apes as the slave owners. The apes cite that they are intellectually superior to this “primitive” species and are ordained by their creator to be subservient to no other creature. These statements resemble the justifications made by American settlers to further settle west into Native American lands with their ideal of “Manifest Destiny”, a belief that they are entitled to this land from God. They shared this rationalization with owning slaves from Africa, as they saw them to be less sophisticated and civilized compared to their European counterparts. There are also further conversations to be made with religion, as the film uses the apes’ religion surrounding their deity to create fear in their followers to never go into the “Forbidden Zone”, much akin to Christianity and its relationship with sin and Hell. I’m not anti-religious, but I am aware of the arguments that can be made, and I see that this film does a good job in presenting an alternative look into how we perceive things. This film does a great job in doing what is mentioned above, but was also incredible in visual presentation for its time. 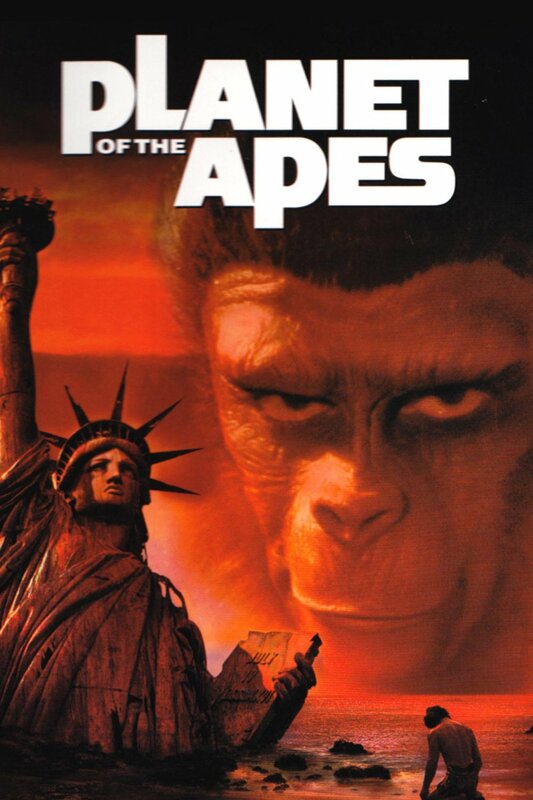 The design of the apes may look a bit goofy now, with the mouth movement being a bit awkward and the dubbing being a bit off, but the overall design of the apes was pretty damn good with the realistic fur and overall design of the face looking impressive for the late 60’s. They also do a pretty good job in presenting the apes in a more regal yet somewhat humble attire, resembling that of Roman civilizations. The film was nominated for Best Costume Design and won an honorary award for makeup for artist John Chambers from the Academy of Motion Picture Arts and Sciences, and I have to say they truly deserved the recognition. This film is a classic that is filled with iconic quotes, scenes, and twists that have stayed prominent in our pop culture. With a number of sequels and a new prequel series that has been nothing but grade-A quality up to this point, this story proves to be important and timeless.